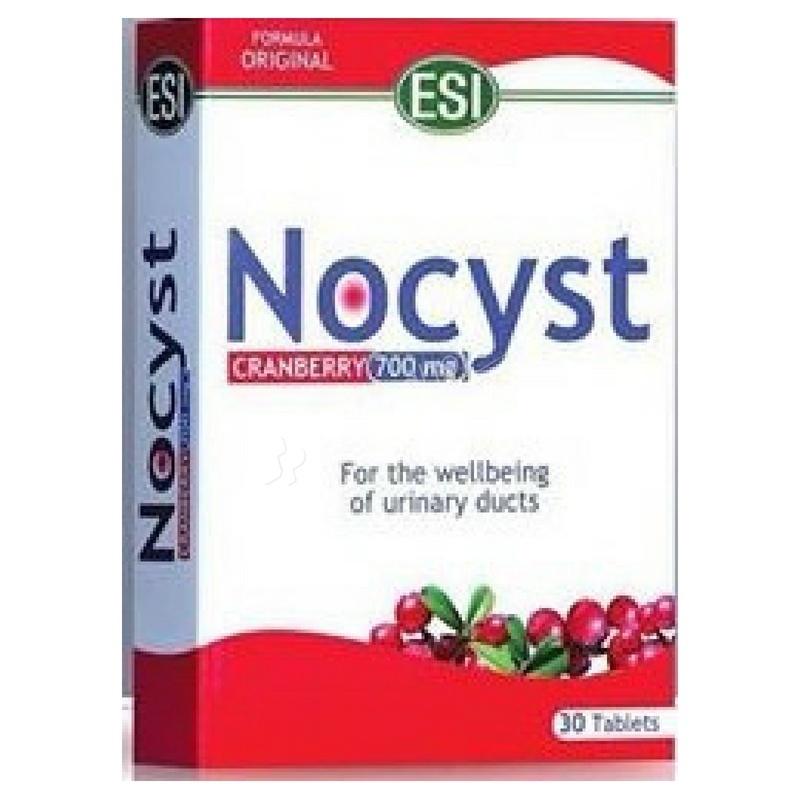 Nocyst is a food supplement that is useful to help the physiological functions of the urinary ducts.It is known for its action on the wellbeing of the urinary system. Nocyst is a nutritional supplement formulated to promote the appropriate physiological functions of the urinary tract. In case of disorders of the urinary tract it is very important to drink plenty of water and stimulate diuresis. Gluten free, no added sugars, no added preservatives, no artificial flavours, no artificial colouring, No-GMO. It is suggested the intake of 1-2 oval tablets a day with plenty of water, preferably in the evening or whenever it is needed. Keep out of reach of children under 3 years of age. Do not exceed the recommended daily dose. Supplements are not subsidiaries of a varied and balanced diet and healthy lifestyle. A medical advise should be sought before taking this medicine if you are pregnant or nursing.